"I have learned to ask questions when I am unsure and seek out other individuals for help." 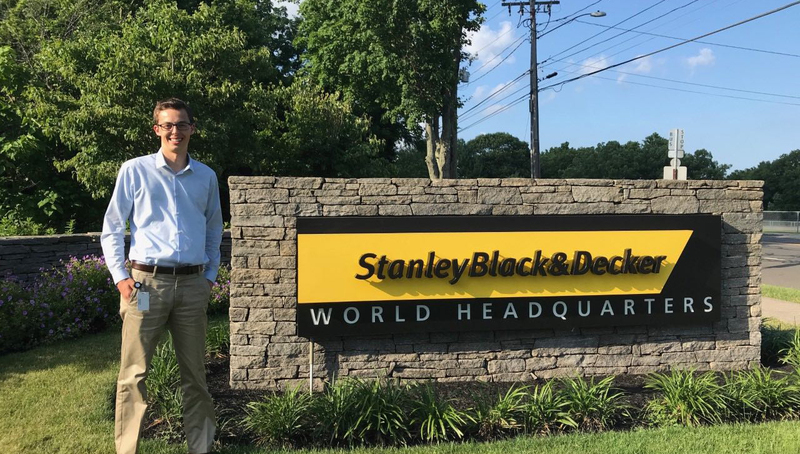 Read about Nathan Koziol's time as a product management intern at Stanley Black & Decker this summer. I am a product management intern at Stanley Black & Decker for the newly acquired Craftsman brand. I work in their Southington, Connecticut office. 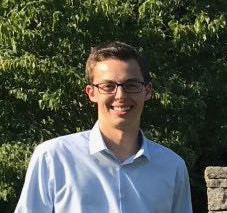 As a product management intern, I am working on a summer project proposal where I am going through the various steps of the life of a product and will present my idea to a board at the end of my internship. From there, with the board’s approval, my work will be handed to my department to continue working on after my internship ends. Some of the cool things I get to do with my project are conduct field research and work directly with SBD’s engineers and Innovation Design team. In addition to my project, I work on various tasks given to me by my managers. These tasks include a wide range of things like changing product SKUs and creating planograms. I am given an “action item list” at the beginning of every week which essentially is a big list of tasks that I need to complete. I come into work a little before 9 a.m. and look at the list to see what I have and have not accomplished and then I prioritize how important each task is and start my tasks that way. I work a lot with Microsoft Office, especially Access, Excel and PowerPoint, so I always have three monitors to display everything. I usually bring my lunch and eat it at my desk because there is so much to do. Whenever I complete my tasks, I try to go around the office and ask if anybody has any work. I also have meetings throughout the day that I have to attend so I always walk around with a pen and notepad writing down anything of importance that I hear. I leave the office around 5 p.m., sometimes later depending on deadlines, and then head home. One project that I found to be really cool was creating a planogram (POG) for a large retailer out West. A) POG is a visual representation of a store’s set up, so my manager tasked me with deciding how to set up the product bays and my idea was then sent to the chain retailer’s headquarters to use for the upcoming products. I find this to be memorable because all of the choices and decisions I made as an intern will be seen in a few months on the shelves of that retailer when our new products debut. In what ways has a Scranton education prepared you for this internship? I definitely think that KSOM’s curriculum has helped me, especially Business 140, which all KSOM students are required to take. My job requires me to utilize master excel documents that expand hundreds of cells across and thousands of cells down on multiple documents and I am required to use various formulas like VLOOKUPs, If statements, create pivot tables and more. Without BUS 140, I would have really struggled to complete a lot of my tasks. I was really nervous coming into this internship because this is my first experience working in this sort of environment and I was worried about whether or not I was prepared but I learned that internships are about gaining the experience and knowledge you need for the future and I have learned to ask questions when I am unsure and seek out other individuals for help because it has helped me get so much more out of my short time here. Some of my biggest advice is to ask questions because it shows you are genuinely interested and companies look for that. Always offer to help and take on projects because you will only gain more valuable experience from that. 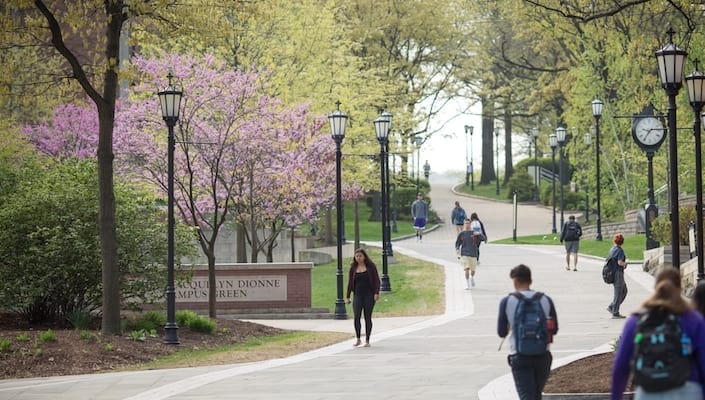 For people looking for internships, go to the Center for Career Development and reach out to all of your connections as it is such an easy way to open up new opportunities for yourself. And of course, look for something you know you will enjoy and be happy doing!